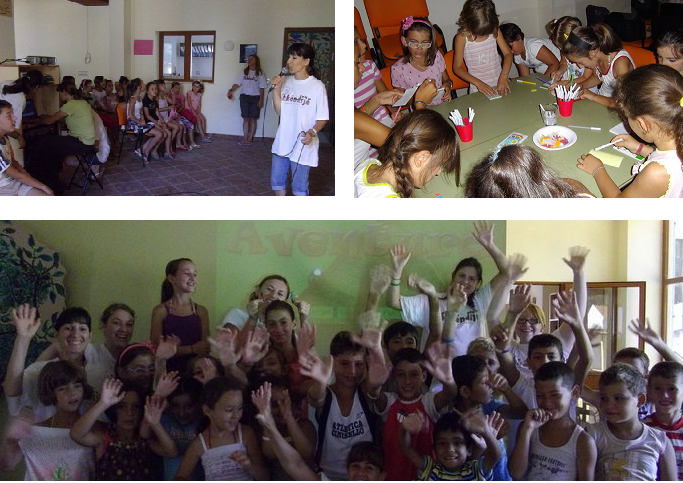 The new season is of to a great start, with Kid’s programmes and discipleship, and the English course. New oppurtunities for Shkendije, as we look to branch out to reach the unchurched children of Tirana. Shpresa Tush arrives shortly. we pray that she will be of great use to us in our Ministry. Welcome to our brand new Newsletter! Every month from now on you can receive a newsletter just like this one to update you on all the exciting things we’ve got going at Shkendije! Just look below to find out about our fun filled summer, whats happening this season, and the new opportunities we have at Shkendije, plus be the first to know about Shkendije’s plans for the future, while our praise and prayer points can help you support our cause right now! We have had a great summer this year, as we managed to outreach to loads of kids – we held three big events – a Kids Camp with we held in alliance with World Vision, a kids summer club for the children of Shengjin, and Shkendije was also responsible for the kids outreach at project RACE (an Evangelical event set in three tourist packed areas of Albania). We also had two English girls, Michaela Cameron and Ruth Jesse out on a short term mission, and these girls helped to design a brand new Albanian kids tract, which was used effectively at the outreach events. The weekly Friday kids meeting is back, with lots of games (and noise! ), as well as bible lessons and worship. Vali also visits the kid’s homes mid-week to give out an activity sheet, and uses this time to become more closely connected with the children’s parents, in the hope that they may also experience God’s love. We continue to run a Kids discipleship group, where the children who have responded to Jesus study the bible further. Our young team, who meet regularly outside of the meetings fellowship and bible study together, have recently had a trip to Tirana, which was a chance for more friendship, and encouraging those new to the group. The English Course has also started back, and Shkendije welcomes it’s new teacher, Ruth Jesse, who is staying out here in Albania for her gap year. The English Course offers opportunity to become more integrated with the community, and be able to share God’s love while doing this. Tirana – Shkendije wants to expand our outreach to Tirana, where there are thousands of fundraising children. We want to help the church in this area reach out to the children outside their doors! The Launch of the Spark Campaign – Spark is a fundrasing campaign to raise money for an urban outreach vehicle, that will help us be able to outreach to the children in Tirana, as well as Durres. We need YOUR help to raise enough money so that these city children can hear the gospel, and respond to God’s love. to find out more click our Facebook link on the sidebar. Kid’s Workers Training - We believe it is of utmost importance for Albanians to be able to run kid’s outreaches, and therefore Shkendije wants to hold training courses in Tirana, to encourage the children’s ministry to grow. - Shpresa joining arrives to joing the Shandieje team! We are excited to have her Christmasas she will have a role in the discipleship groups, as well as the weekly meeting, and the mid-week home visits! - The Christmas craft is prepared, and preparations start to be put into place so that this christmas, we can really share Jesus’s love with Shengjin. Thank God for his awesome provision, we have been blessed with the arrival of a photocopier! Ruth has arrived to work for fundraisingon her Gap year. Rachel’s trip to England went well! For an on going in the fundraisng towards the new Spark Urban Outreach Vehicle. For the Children’s understanding of God’s word to grow, as they come to know him more. Shkendije – Reaching out to ALbanian Children and helping others do the same.